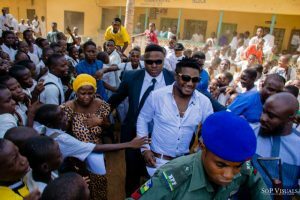 Nigerian rapper CDQ as part of his way of giving back to the society has started an educational empowerment scheme. 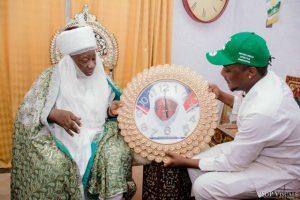 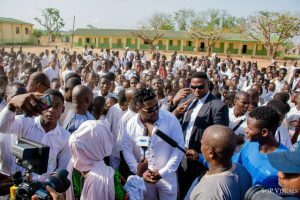 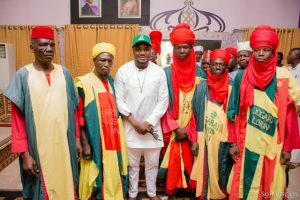 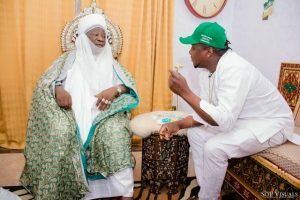 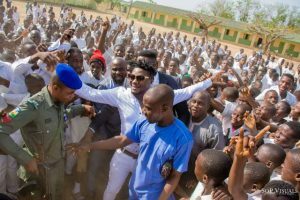 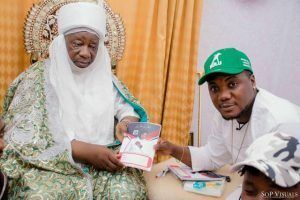 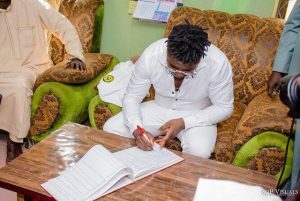 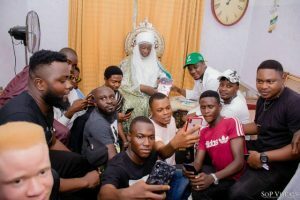 The Woss Wobi crooner launched Education Empowerment Initiative which he named “CDQ EDUCATION EMPOWERMENT INITIATIVE (CEEI)” with a trip to his state of origin (Kwara State) for kickoff being the son of the soil. 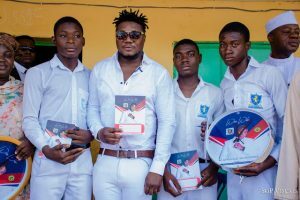 CDQ surprised the school with writing materials which includes books and pens with wall clocks meant to reach over a thousand students.